A benefit is only a benefit if you apply for it. So, the first step is to apply for your U.S. Department of Veterans Affairs (VA) educational benefits. To do so, first you will need to know what chapter of the GI Bill® to apply for. Please review the following list to learn more about the various chapters of the GI Bill. You should also do some personal research on the VA’s GI Bill® website by clicking here. To speak to a VA educational representative, please call 1.888.442.4551, prompt 1, then prompt 0. To apply for VA educational benefits online via eBeneftis application process called VONAPP, please click here. Different chapters of the GI Bill® require different application forms, please be sure to submit the correct form. This is the GI Bill for veterans who served active-duty between 1984 and 2008, who also electively signed up to participate in MGIB. Chapter 30 benefits may be used up to 10 years from the date of last discharge or release from active duty. Generally, veterans have 36 months of entitlement. Service members who served after 09/10/2001 can also apply for up to an additional 12 months of entitlement under Chapter 33, Post 9/11 GI Bill, once their 36 months of benefit for Chapter 30 expire. Or, they can convert to Chapter 33 in lieu of their Chapter 30 benefits before their Chapter 30 benefits expire. Chapter 30 benefit payments are paid directly to the student, monthly. The form to use when applying for Chapter 30 is VA Form 22-1990. Chapter 30 students must verify monthly attendance via W.A.V.E. the Web Automated Verification of Enrollment. Please click here to access W.A.V.E. To return to the top of the Educational Benefits page, please click here. This chapter serves eligible active-duty servicemembers and veterans with service-connected disabilities. This program promotes the development of suitable, gainful employment by providing vocational and personal adjustment counseling, training assistance, a monthly subsistence allowance during active training, and employment assistance after training. Students work with a VA counselor at Togus, the VA hospital in Augusta. To be eligible, veterans must have a VA service-connected disability rating of 10 percent or more. Chapter 31 provides for a 12-year basic period of eligibility in which services may be used. In general, participants have 48 months of program entitlement to complete an individual vocational rehabilitation plan. Chapter 31 benefit payments are paid directly to USM for tuition and fees, as well as books and supplies. 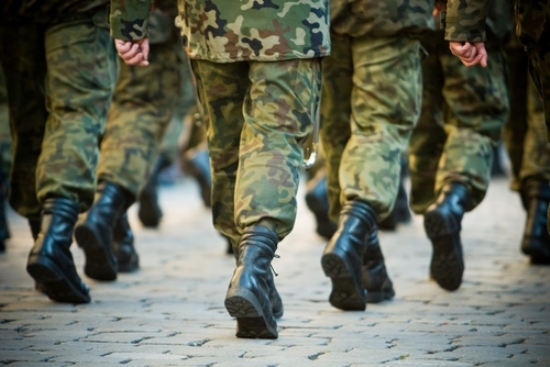 A subsistence allowance, if applicable, is paid directly to the veteran. The form to use when applying for Chapter 31 is VA Form 28-1900. In the summer of 2008, Congress approved an expansion of benefits beyond the current GI Bill program for military veterans who served after September 10, 2001. 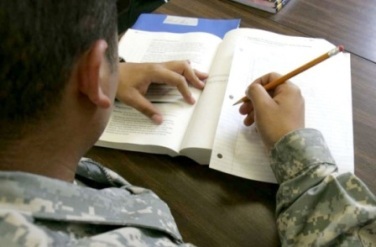 This newest chapter of the GI Bill was enacted in August 2009. Chapter 33, Post 9/11 GI Bill, recipients are eligible for greatly expanded benefits, often paying the full cost of their USM tuition (if student is an in-state resident with 100 percent entitlement). The new bill also generally provides a housing allowance (BAH) for those attending school more than half-time, and up to $1,000 for a books/supply stipend per academic year, among other benefits. Percentage of entitlement is based on qualifying active-duty (AD) time. For 36 months or more of qualifying AD service, that equals 100 percent entitlement. Payments are paid directly to USM for tuition and fees. Payment for the book/supply and housing stipend (if eligible) are paid directly to the student. The form to use when applying for Chapter 33 is VA Form 22-1990. Students who are eligible at 100 percent entitlement for Chapter 33, but who are not in-state residents as determined by USM’s residency policy, should consider applying for a slot in the Yellow Ribbon Program (YRP). To learn more about the Yellow Ribbon Program, please click here. Service members who want to transfer their Chapter 33 benefits to an eligible family member must first apply for Chapter 33 benefits themselves. The servicemember must also serve at least six (6) years of service in the Armed Forces on the date of the election of Chapter 33 and agree to serve an additional four (4) years in the Armed Forces from the date of election. Or, they must have served at least 10 years and commit to fulfilling their current commitment, if they are not required to serve another four years based on Department of Defense policies. To learn more about Transfer of Entitlement (TOE) for Chapter 33, please click here. The person who is having the Chapter 33 benefit transferred to them must apply for Chapter 33 (TOE) as well, by filling out VA Form 22-1990e. Students who are eligible at 100 percent entitlement for Chapter 33D, but who are not in-state residents as determined by USM’s residency policy, should consider applying for a slot in the Yellow Ribbon Program (YRP). This chapter provides education and training opportunities to eligible dependents of veterans who are permanently and totally disabled due to a service-related condition, or who died while on active duty, or as a result of a service-related condition. The program offers up to 45 months of educational benefits. To apply for Chapter 35 benefits please click here. "Veteran" means any person who served in the military or naval forces of the United States and entered the service from this State or has been a resident of this State for 5 years immediately preceding application for aid and, if living, continues to reside in this State throughout the duration of benefits administered under the educational benefits program. Those eligible for the Maine veteran dependent waiver (state benefit) are also generally eligible for Chapter 35 (federal benefit), but not necessarily vice versa. To learn more about the Maine veteran dependent waiver (state program), please click here. NEW: A Maine state law passed in 2013 now requires students using the Maine Veterans Dependents Tuition Waiver Program to complete a FAFSA. This will not affect your Federal benefit, but is a requirement of the state of Maine for waiving tuition. This program may be available to members of the Selected Reserves, including all military branch Reserve components, as well as the Army National Guard and Air National Guard members. Students often use Chapter 1606 benefits along with Tuition Assistance (TA) from their unit. Chapter 1606 monthly benefit payments are paid directly to the student. Chapter 1606 students must verify monthly attendance via W.A.V.E. the Web Automated Verification of Enrollment. Please click here to access W.A.V.E. Tuition Assistance (TA), if applicable, is paid directly to USM. Students must apply for TA directly with their unit. The form to use when applying for Chapter 1606 is VA Form 22-1990. The Reserve Educational Assistance Program (REAP) is available to all Reservists who, after September 11, 2001, complete 90 days or more of active-duty service “in support of contingency operations.” This benefit provides Reservists returning from active duty with up to 80 percent of the active-duty (Chapter 30) GI Bill benefits, as long as they remain active participants in the Reserves. Sometimes, these veterans apply for Chapter 33 at the lower percentage entitlement level, instead of Chapter 1607, depending on their academic goals. Students often use Chapter 1607 along with Tuition Assistance (TA) from their unit. Chapter 1607 benefit payments are paid directly to the student, monthly. Chapter 1607 students must verify monthly attendance via W.A.V.E. the Web Automated Verification of Enrollment. Please click here to access W.A.V.E. The form to use when applying for Chapter 1607 is VA Form 22-1990.